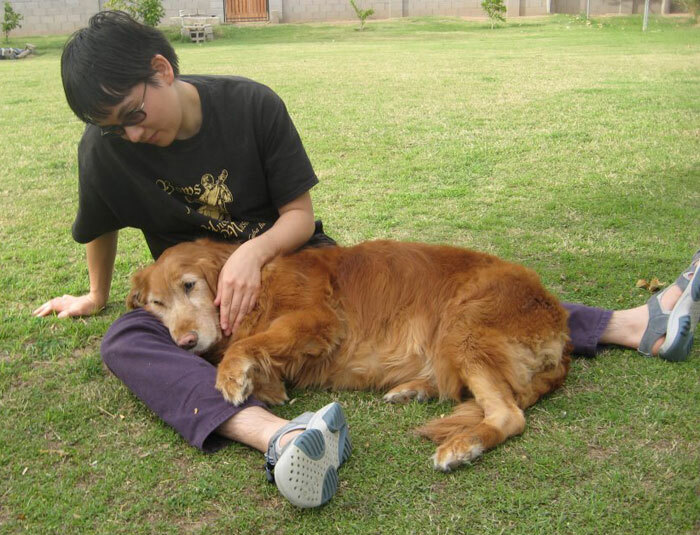 Pebbles has been active for years working by the side of Sally Taniguchi. 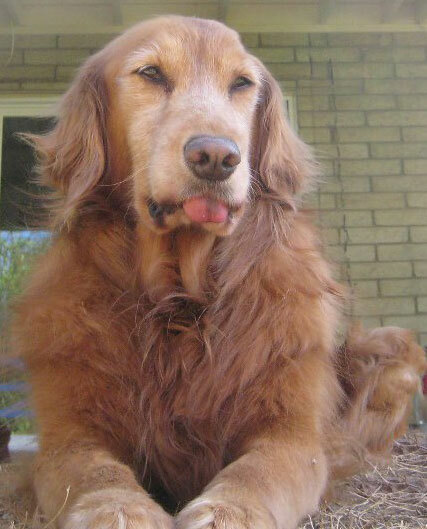 Sally's mom, Susan, contacted us in February 2012 about obtaining a Working Dog Cancer Treatment Grant for her Golden. Pebbles was diagnosed with Stage III (multiple skin sites) Multifocal Mast Cell Tumors. 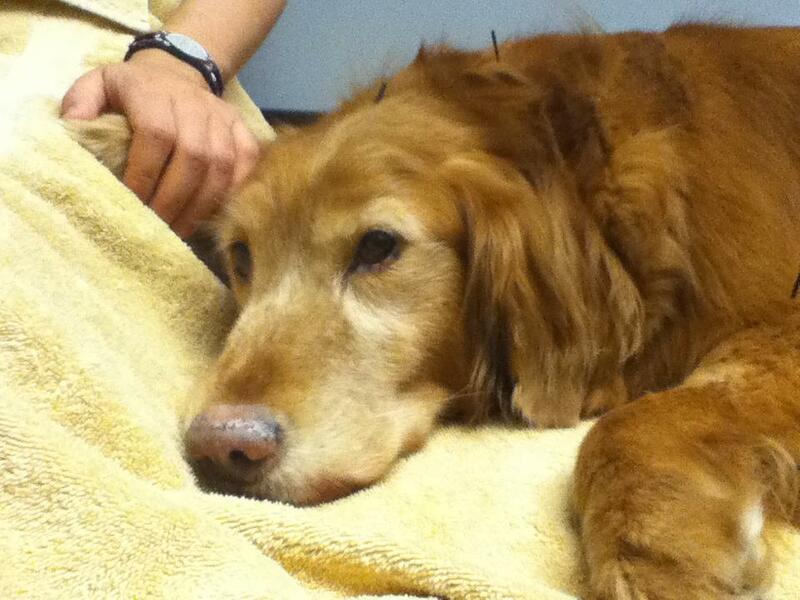 The tumors have been removed and she is currently receiving the chemotherapy agent, Palladia. Click here to download a PDF relaying Sally's and Pebble's story. As Pebbles is now semi-retired, meet Kira (below), her support doggie. Kira is still in training and at the two steps forward one step backwards stage. Kira comes to all of Pebbles' treatments. Sally takes Pebbles with her, however, when it is believed that Kira is not trained enough for the situation. Pebbles is the first line of defense in noisy crowded situations. Sally's mom, Sue, her number one advocate, keeps us updated on Pebbles' progress at our Foundation's Facebook page. You can follow below as well. 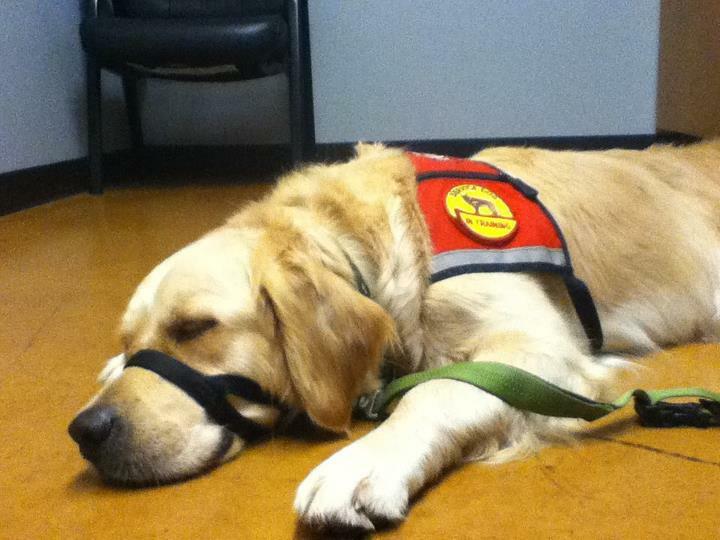 Want to support our wonderful treatment program for working dogs? Just click here. APRIL 25, 2012: Hand and paw = Comfort. Sally and Pebbles waiting for acupuncture today. Weight is normal for Pebs, but she is more rotund. So vet has lowered halved her Prednisone dose and put her on Milk Thistle to detox the liver, it's beginning to take a beating. March 28, 2012: Oncologist vet visit today. 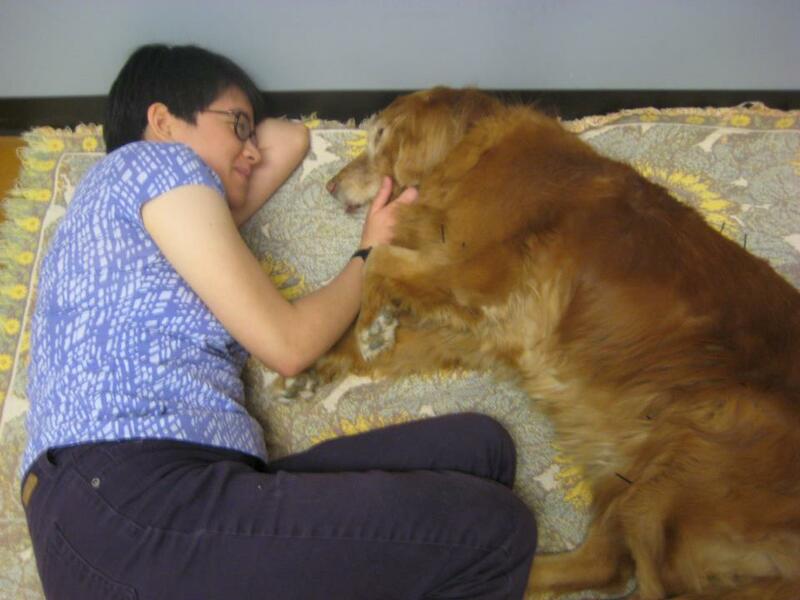 Pebbles and Sally relaxing during Pebbles' acupuncture treatment. March 24, 2012: Pebbles relaxing after a bath . . . . seven weeks into chemotherapy. March 14, 2012: Pebbles with Sally and Kira (pup in training). 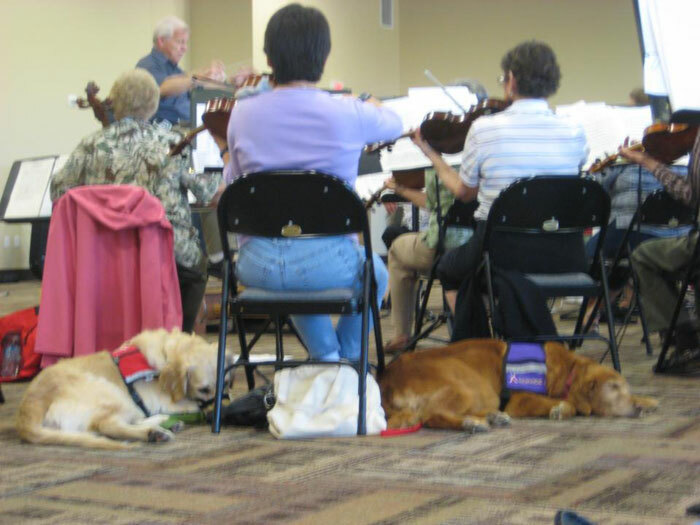 No wrong notes were played as Pebbles snoozed. I always considered Pebbles to be one of our success stories, as she had so much quality time after her cancer treatment. To get two more years is wonderful. So, I simply hated receiving this email from Sally and her mom, Sue. Just to let you know that Pebbles is really sick again. We spent 4 hours at the vet this morning. It appears her spleen is a little enlarged, and there is something showing on the xray, it needs to be confirmed, but it might well be cancer again. Her blood tests are not looking good either. So we are going spend the weekend with her and take her to the normal vet the beginning of the week. Pebbles is really lethargic and just doesn't want to move around. I sadly think the time has come for her. Sue has been a quite generous supporter of the foundation and just sent a wonderful donation in Pebbles' memory, writing this: In memory of Pebbles, Sally's constant service dog for the past 9 years. The cancer returned and you just looked so tired. Your pawprints will forever be in our hearts.